My introductory vector art freebie is a classic cartouche graphic. It could be great as a chapter heading ornament in book design, or in an antique style design for a greeting card. 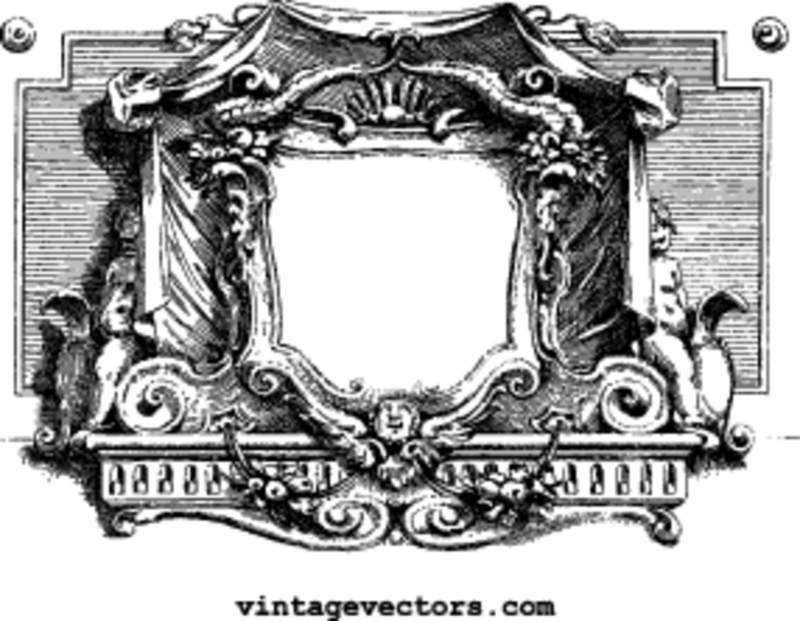 Digital scrapbookers might like it too for an ornate border, or for the shield shaped frame in the middle.